At the start of the film, Ferrell's character Ron Burgundy is at the lowest point of his life. He's drinking heavily -- considers suicide -- after his career has completely hit the skids and he is forced to accept the lowliest, most humiliating of jobs: At SeaWorld. 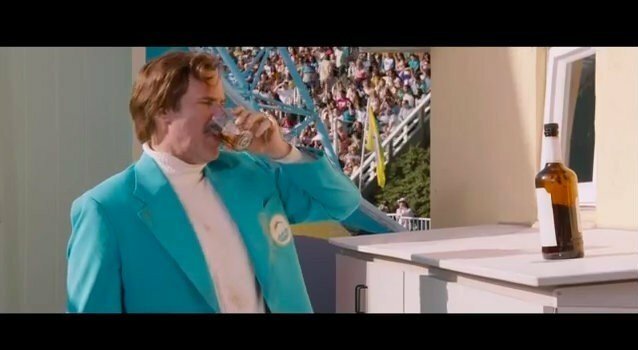 And here's a new trailer from October, which shows Ferrell's character Ron Burgundy drinking heavily. It's merely a coincidence that this film is coming out now, when SeaWorld is facing immense backlash as a result of the documentary "Blackfish." But the timing makes it clearer that SeaWorld's not just in on the joke, it's the punchline.